There is a question that all employees ask their leaders “Why should I follow you?” What’s that you say? No one’s ever asked me that! Well maybe not directly but take it from me it’s been asked. And discussed. In detail. And here’s the reality check: If you think you can avoid having to answer this question directly, you’re mistaken. In fact, the only thing you can do is to choose where this discussion is going to take place – Directly in conversation with you or around the water cooler or some other place when you’re not around. With the former, you have the opportunity to influence the direction and quality of the discussion. With the latter? Well, that’s anyone’s guess. So, when you’re faced with that moment of truth (as all leaders eventually are), will you have something genuine and compelling to say? There was a time several years ago when companies created mission statements that sounded like something out of Star Trek. 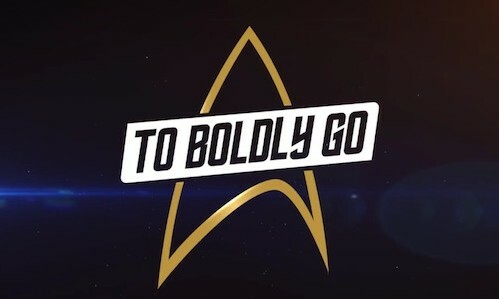 They all began with “To boldly go…” and then in a series of ascending clichés went onwards and upwards from there. Henry Mintzberg is one of my favorite management gurus. He is an internationally renowned academic and author on business and management who is unafraid to shake us out of our complacency about leadership. He has said “The prime occupational hazard of a manager is superficiality.” So, in the busy, stressed-out, I-don’t-have-time-to-do-this world we inhabit today, leaders must boldly go beyond the Star Trek clichés if they truly want to inspire people to get up early in the morning, work late or on weekends and do more than just put in their time. Just decide to be a LeaderUltimately, Leadership is a personal decision. Sure, your organization will offer training sessions to develop your skills and they may have even created a set of leadership competencies in an attempt to direct behaviors but in the end, it’s just simply up to you. Authentic leadership can’t be mandated. Either you want to be a leader or you don’t. Period. Set aside significant time to do this.So, let’s assume you want to be a leader and you want to be authentic about it and you want to inspire and motivate people to perform amazing things. Great! Then you’d better be willing to put in some serious personal time at self-development. That means that ginning up a Leadership vision for yourself is not something you can do “quick and dirty”. This is not lunch-hour work. It’s going to take time. And it’s going to take some digging. Some deep digging. Leadership is not a product, it’s an organic process.You are not your numbers. Even on those days when it seems that’s all you are, you’re not. When you’re done for the day, the quarter, the year, remember leadership is not just about what you produced, achieved or made happen. As Mintzberg has said “Companies are communities. There’s a spirit of working together.” Do you know how to create and sustain a community? That’s process; not product.